Weighty Matters: Can We Enact Bloomberg's Cup Size Limit at the Movies Please? Can We Enact Bloomberg's Cup Size Limit at the Movies Please? I went to the movies a few weeks ago with my wife (we saw Gravity in Imax 3D - can't say I recommend it). 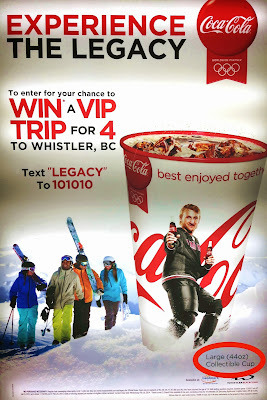 On the way out I noticed a giant Coca-Cola advertisement, and as I'm wont to do, I wandered over to have a closer look. 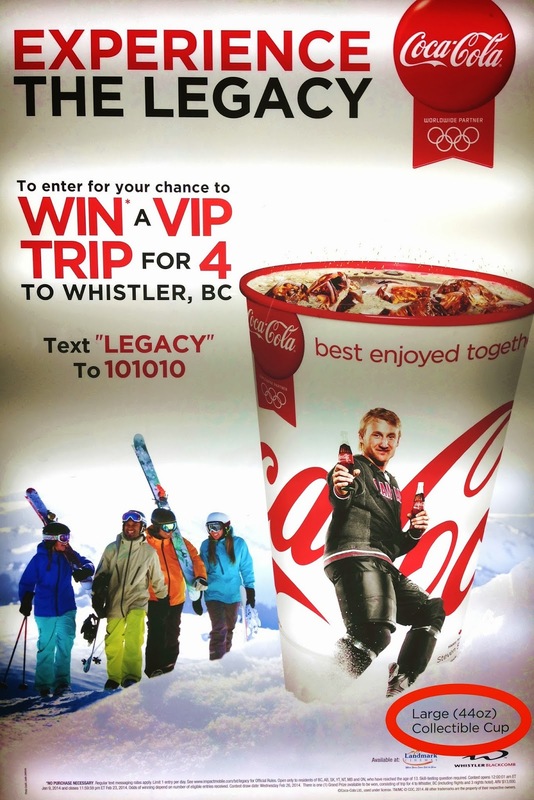 It highlighted a contest to win a ski vacation in Whistler and you could also buy a commemorative cup at the concession stand. "Cup" is an interesting term though for a container that holds 44oz (1.3 litres) of sugared soda. For those who care that's 526 calories of Coca-Cola coming from its astonishing 36 teaspoons of sugar! I can't imagine there are many people on the planet who consciously want to consume 1.3 litres of Coca-Cola with their movie, but I bet many unconsciously do simply consequent to the fact that the only commemorative size available shares more in common with a bucket than a cup.